Sixth IAVC -Kathmandu, Nepal, Oct. 1 to 3 rd 2020. Theme -Road map for Globalization of Ayurveda. In Vedic literature Haridra is extensively described. Acharya Vagbhata quoted is as the best for Prameha. Presently it is considered as an important antidiabetic and antioxidant drug. Karma- Kapha-Vatahara, Lekhana, Vishaghna, Varnya. Curcumin (the main active ingredient) in turmeric enhances this activity along with black pepper (piperine- improves the absorption of curcumin by 2,000%). Curcumin is also fat soluble, so it may be a good idea to take it with a fatty meal. Helps your body fight foreign invaders and also has a role in repairing damage.It blocks NF-kB, a molecule that travels into the nuclei of your cells and turns on genes related to inflammation. Delivers a one-two punch against free radicals. It blocks them directly, then stimulates your body's own antioxidant defense enzymes. Many common brain disorders have been linked to decreased levels of this hormone, including depression and Alzheimer's disease (21, 22). Improves the function of the endothelium (lining of your blood vessels).so helps to regulate blood pressure, blood clotting and various other factors. Reduces inflammation and oxidation (as discussed above), which play a role in heart disease as well. Prevent colorectal cancer from occurring also Reduce the number of lesions by 40%. Leads to several changes on the molecular level that may help prevent and perhaps even treat cancer. 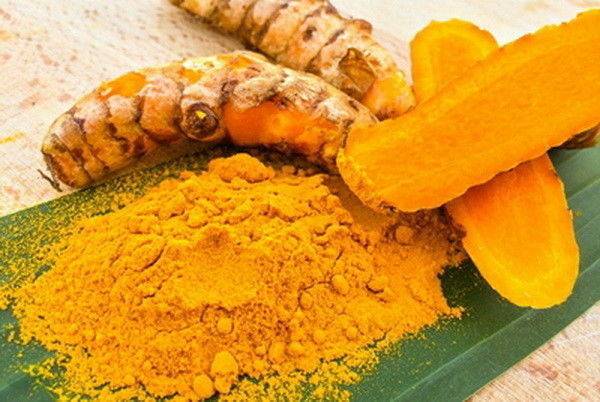 Curcumin - potent anti-inflammatory compound, it makes sense that it may help with arthritis. Curcumin helps to treat aspects of Type 1 & 2 diabetes. Reduces insulin resistance by helping insulin get into cells, perhaps on AMPK pathway that exercise also opens up. Protects beta cells, which produce insulin . Helps in Diabetes induced Erectile Dysfunction. Mix everything & Tasty pickle ready.